But while we already know that hedge funds have been on the verge of suicide for weeks, and retail investors have rarely been more bearish, the far more important question is what are unemotional robo-traders - who trade each and every day, come rain or shine, i.e. algos, quants and robots - doing. 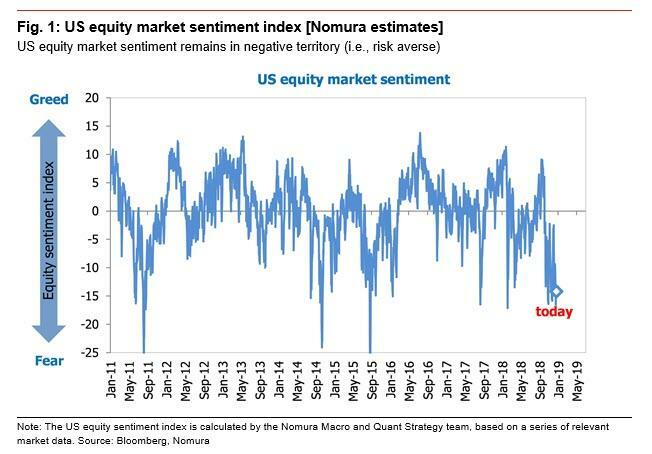 For the answer we go to Nomura's Masanari Takada who writes that systematic trend-followers like CTAs are liquidating what's left of their remaining long positions at full speed. The silver lining is that since CTA have already largely deleveraged, the size of these remaining positions is very small, and the sell-off pressure created by cutting loss-making positions should be limited. There is a far bigger risk however as SPX futures slide below 2,480 – the critical support level for typical CTA trend-following strategies. The risk is that CTAs flip to the short side for the first time in about three years, at which point it will no longer be about covering long exposure but rather adding to the short side, and by implication, the more the market falls, the more shorts will be laywered on and the greater the downside momentum and acceleration. 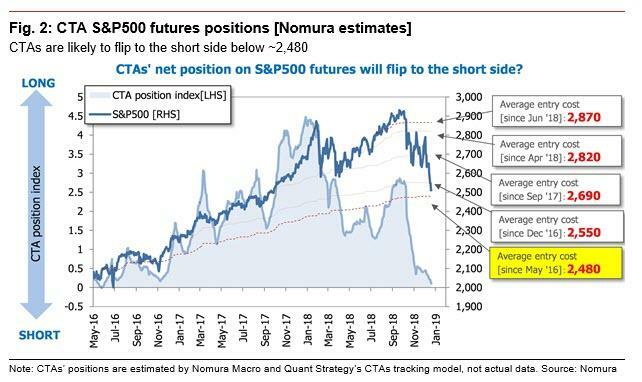 As Nomura concludes, "now is the time when CTAs are likely to chase further downside of SPX futures by starting to add fresh shorts, and thus we will have to keep a close eye on trend-following investor reactions." One look at the crashing market confirms that pattern chasers have indeed turned short and are now accelerating every move to the downside.